The second item on my Life List is: Publish a book. When I look back at it now, I realize I should have been more specific because I’ve sort of done that already. I have run the gamut of publishing jobs ranging from book publicist to book researcher, coordinating sub rights, and e-book producing (where I produced a NYT Bestseller, baby!) If I was to take #2 at face value, however, I’d have to classify it as a book on which I appear as the author complete with name on the cover and author photo on the back flap. So those publishing gigs are subsets of #2. This book you see above puts me a step closer. In “The Moment,” you’ll find 125 beautiful moments that changed the lives of writers and artists both famous and obscure. My essay, “Fearless Flyer,” appears in here. It’s my first contribution to a publication that is bound and made of pulp, not pixels. Even more exciting, some of my favorite writers, storytellers, and friends also appear between these covers. I fell in love with Deborah Copaken Kogan’s words in college; I sometimes wonder if Rebecca Woolf (whose insanely gorgeous essay ends the book) and I weren’t separated at birth; Gregory Maguire always enchants me with his stories. Ever since Baratunde Thurston and Sara Barron did the Six-Word reading series I co-produced, I’ve been stuck on their every word. Jennifer Egan and Elizabeth Gilbert (two literary rock stars), also contributed pieces. When I heard Liz Gilbert was contributing a piece, I put Larry Smith, the book’s editor, in touch with my friend/Liz’s sister, the awesome YA writer Catherine Gilbert Murdock, who turned around an essay in no time flat. She’s that good. “The Moment” also contains pieces from people who aren’t writers by trade, but who are incredible storytellers. Some of my favorite pieces in this book are written by people who are: unemployed, zoologists, still in school, a camp director, and a former trend-forecaster. Everyone has a Moment that changed their lives. What’s yours? Every Monday I’m going to do a Watch, Listen, Read. I’ll tell you what I’m WLR-ing and what I thought. Chime in, in the comments, with your own Watch, Listen, Read or let me know what you thought of my picks. 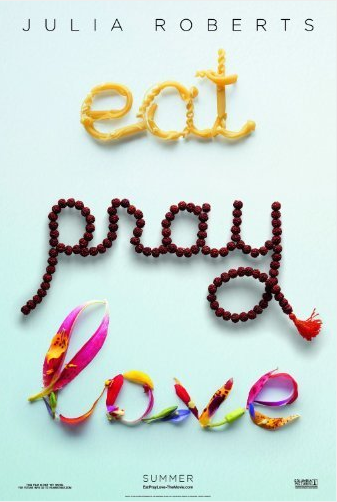 Eat Pray Love. Unfortunately, I can no longer say those words without wincing. I’ll be seeing the movie (somewhat reluctantly and despite bad reviews) this week. Given my past history with the book, and years of Christmas tree-cutting at the Gilbert family farm, the only thoughts I have to share are on everything else surrounding Eat Pray Love. I read EPL when it was still an ARC (Advance Reader Copy provided to bookstore owners/reviewers pre-pub date). I had loved Elizabeth Gilbert’s STERN MEN and THE LAST AMERICAN MAN is one of my favorites, so I went in with a decent set of expectations. I loved reading Eat Pray Love. Gilbert sculpted her words into a 3-D experience for the reader. I talked up the book around the publishing house, where I worked at the time. It was passed around among the mostly female employees, who all savored it as well. I knew it was going to be a big hit. The unfortunate part comes with what happened later. After the first Oprah appearance, EPL became bigger than a book. It became a mantra, an all-encompassing experience. Elizabeth Gilbert was deified by Oprah during that second appearance. She was then merchandised for the Home Shopping Network and incarnated by Julia Roberts for the movie. Here’s the thing people keep forgetting: Gilbert is a writer. I think she’s a good writer. I like her work and the subjects she chooses (herself included). Her work is well-researched and you can tell she’s a solid self-editor. She’s also a good storyteller, she’s funny, insightful, and smart. But the proportion of EPL and Gilbert herself has become so overwhelmingly huge, I wonder how she’ll come out from under it all. Her follow up book to EPL, COMMITTED, is a good start. It harkens back to her earlier work, with the addition of some naval-gazing, since, after all, she is still the subject. Perhaps one day people will see beyond the hype and the backlash and find the writer, a woman who simply shows up every day to have a conversation between pen and paper; to do her job, to fascinate and enrich our knowledge; to entertain us; to make us cry; to be our cartographer, mapping out unknown territory with her words as we turn the page and read about the next journey. I wasn’t in town for Alice Ripley’s Daily Practice show at BACKSTAGE Dopo Teatro, but some kind souls put up the set on YouTube. They’re all worth watching, but her acoustic version of her song, “Shine On” is killer. Also, great hat. 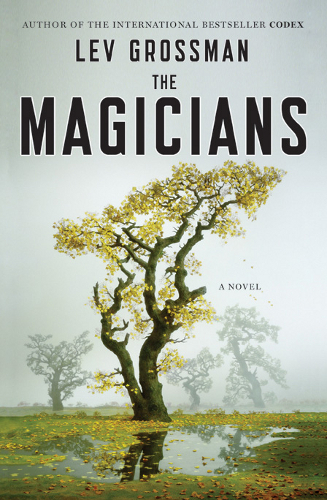 Lev Grossman’s THE MAGICIANS unfolded slowly and without much magical realism one would associate with a book about magicians attending magic school. Grossman’s book reads like an adult version of “Harry Potter” in both the best and worst ways. The best being the last third of the book, where his magicians graduated from the confines of their magic college, Brakebills, and headed out into the real world to be magicians among mortals. The downside is the first two thirds of the book. If you’re going to create a magic school, then you’ve got to one-up J.K. Rowling, who set the ultimate bar. Grossman’s Brakebills college of magic is bland by comparison and lacks in … magic. Reading it made me think that this is what all kids must assume adult books are like, thoroughly un-amusing and sensibly grounded. And depressing. THE MAGICIANS hunkers along till nearly the end, then gets so suspenseful, wild and pulse-quickening, I actually yelled to the characters in the book at one point (this has only happened once before). That said, I’m not entirely sure one third of the book is enough to sustain the pages that came before it. Grossman is currently working on a sequel, which I’m somewhat interested in, but if it turns into a series, I don’t think I can commit to reading five or six books that move along slower than the speed of magic.